One of the most common concerns among most parents these days has been their child’s negligible confidence level and participation spirit in major activities. As parents, we aspire an all-round development for our children and expect them to excel in at least some of the fields that they participate in. Unfortunately, sometimes our children feel so deeply negativized with the thought of not being able to live up to their parents ‘ and mostly their own expectations that they develop what we shall discuss in this article, a lower sense of self-esteem about themselves. These self-esteem issues tend to make our children not participatory, deeply under-confident people who then sadly live extremely unfulfilling childhood days and adult life. As parents, it becomes our duty to find the root cause of this deep malaise. We hope you find the answer to most of the doubts in your about this issue via this article. A: Simply put, self-esteem is the measure of a child’s belief in her/his ability. It is the image of themselves that they set in their own minds. Children with high self-esteem tend to feel confident and self-satisfied, while children who lack self-esteem live deeply underconfident and self-deprecating lives. For eg. If your child is a good painter and yet would shy away from showing his drawings to others for fear of being, she/he lacks self-esteem. A child may develop self-esteem at a very early age. Toddlers may early on arrive their concept of self-imagery when their parents acknowledge and reward them for simple deeds such as learning to stand or rolling over in bed. Over the course of years, when the child starts to grow, the expectations of her/him to perform well exceeds as well. If a child does that, if a child lives up to his own expectations and the expectations of the people around him, this strengthens her/his self-esteem. Whereas on failing to do so, her/his self-esteem may experience a major setback. Q: What are the benefits of having good self-esteem? A: Self-esteem and self-respect and complementary terms. A child with high self-esteem would hold herself/himself in very high regard which would further boost their confidence level as they step out into the world. Another thing is that these kids would then have the courage to make mistakes and fail whenever they try something new and would then have the resilience to get back up and dust themselves and move forward to newer challenges in life. These kids would also have greater control over the events in their life and can act independently while taking responsibility for their own actions. Q: What are the issues faced by children suffering from low self-esteem? A: Children who face low self-esteem face a fundamental issue which acts fatal in their upbringing and well being. They start feeling that they do not deserve to be loved. This is an extremely crucial delicate situation as the child never really opens up about her/his issues in front of others thereby subjecting herself/himself to too much of self-loathing. These kids could then never gain the same confidence level as the rest of their peer group and lack fundamental knowledge about their own inadequacies. In other words, they lack what is known as self-awareness. 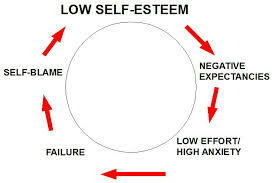 Low self-esteem kids are constantly frustrated, angry and uptight about their failure. If their failure in terms of academics, it would further distract them from learning and lower their attention span in classes. Their relationships face calamities as they fail to indulge themselves in fruitful friendships. These kids thus become withdrawn and turn inwards. If not overseen properly, they may also give in to negative peer pressure habits of drugs, binge drinking, etc at a later stage. But mostly, sometimes low self-esteem kids at an older stage feel utterly lost and defeated leading to even suicidal tendencies. It becomes very crucial then to deal with this malign issue at a very early stage. Q: How to develop self-esteem? A: If there’s one thing that should be recognised by the parent is that the self-esteem and self-importance in your child cannot be developed in a day. It is a process that should be taken into practice every single day. To develop self-esteem, a child should, for the most part, succeed in overcoming challenges that they set for themselves, doesn’t matter how small or big the challenges they face. If done on a regular basis, this chain of challenging and achieving, and mostly of receiving positive validation from it, boosts a child’s confidence and strengthens her/his self-esteem. When kids learn to do things for themselves and feel proud of what they can do, they feel a lot more capable and feel they have the calibre to take on greater challenges. Children feel more efficient when they see those good things come from the efforts of trying hard and getting close to the goal or making progress in any forms and means. For example, when a child learns how to ride a bicycle without the training wheels, it makes her/him believe in her/his capabilities and further strengthens their self-esteem. Also, when children feel understood by a parent or someone close, they are likely to accept themselves, too. Their good feelings about themselves multiply as parents praise good behaviours, help when needed, and give encouragement and support as the child needs them. Q: What is the role of parents in developing self-esteem? A: One of the most efficient aspects of parenting, in this case, is to teach your child to be independent. If you teach your kid to do things, instead of actually doing it for them, it builds their self-esteem to a major extent. Of course, it is important to show and guide them at the first instance. But mostly, it’s utmost essential for them to figure their own way around things and do the task themselves. Another important aspect of dealing with this situation is to praise your young one selectively. Yes, praising is essential and develops good confidence in them, but what is even more essential is to avoid over-praising and pampering them. This gives them a greater kick to work harder next time and not be scared about the failures. Another important thing to remember is that kids mostly learn imitation at a very young age. And as they are very impressionable young minds it becomes very important for parents to be good role models and idols they can look up to. Which means that if we, as parents learn to do things on our own and hold ourselves and our work in the highest regard, they learn to do that as well. And as by doing their work and tasks with the utmost dedication, they learn to get better at it, thereby boosting their self-esteem to a new level. And lastly, it is essential to leech out all the negativity from your own life. Avoid harsh or hurtful comments like for eg., “You’re so lazy” or “Look at so and so’s kid”. A lot of our child’s inner negativity is a by-product of the all the negativity around her/his surroundings which they soak in. So as parents, it becomes our job to fill our own lives with all the positive energy that we could so that we could fill the same in the lives of our children. This, all of this, is the recipe to your child leading a beautiful, happy life where she/he feels good about herself/himself. This will not only help your child to deal with problems they face during their childhood but also support them to responsible and successful adults and parents themselves. We all have dealt with the unholy who visits us at the most inappropriate time. The unspoken misery of every parent and child alike. The only devil who destroys the love we share together as a parent and child. Yes, today we will analyse “Temper tantrums” of our loved ones. 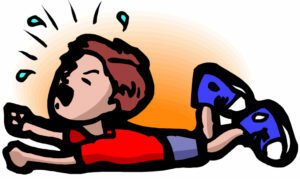 A tantrum is the expression of a young child’s frustration with the challenges of the moment. Your child is having trouble figuring something out or completing a specific task. Your child doesn’t have the vocabulary or can’t find the words to express his or her feelings. Frustration might trigger anger — resulting in a temper tantrum. If your child is thirsty, hungry or tired, his or her threshold for frustration is likely to be lower — and a tantrum more likely. They want to do more than they can handle. Toddlers are naturally very curious—and are thrilled to discover they can suddenly do so many things on their own. Unfortunately, your child’s physical prowess doesn’t keep pace with his curiosity, so he gets frustrated when the block tower falls or he’s not allowed to climb the kitchen stool. They don’t understand delayed gratification. Little kids live in the here and now, not in our cookies-are-for-after-dinner world. Not getting what they want, when they want it, is a top tantrum producer. There might be no foolproof way to prevent tantrums, but there’s plenty you can do to encourage good behaviour in even the youngest children. Be consistent. Establish a daily routine so that your child knows what to expect. Stick to the routine as much as possible, including nap time and bedtime. Set reasonable limits and follow them consistently. Plan ahead. Run errands when your child isn’t likely to be hungry or tired. If you’re expecting to wait in line, pack a small toy or snack to occupy your child. Encourage your child to use words. Young children understand many more words than they’re able to express. If your child isn’t yet speaking — or speaking clearly — teach him or her sign language for words such as “I want,” “more,” “drink,” “hurt” and “tired.” As your child gets older, help him/her put their feelings into words. Praise good behaviour. Offer extra attention when your child behaves well. Give your child a hug or tell your child how proud you are when he or she shares or follows directions. 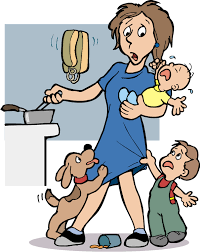 Avoid situations likely to trigger tantrums. Don’t give your child toys that are far too advanced for him or her. If your child begs for toys or treats when you shop, try to steer clear of areas with these temptations. If your toddler acts up in restaurants, choose places that offer quick service. What’s the best way to respond to a tantrum? Typically, the best way to respond to a tantrum is to stay calm and ignore the behaviour. You also might try to distract your child. A different book or a change of location might help. If your child is hitting or kicking someone, hold him or her until he or she calms down. “It made my blood boil so much that I couldn’t help yelling back at her”. As a result, Sammy’s fit lasted for half an hour. This called the Anger Trap. “If you get just as mad and irrational as your child, it’s like throwing gas on a fire”. But the above strategy doesn’t apply to an “escape” tantrum: a child going bonkers because he doesn’t want to do whatever it is you want him to (clean up, sit at the table, etc.). In this case, ignoring him gives him what he wants: You’re no longer demanding that he wear his coat, or whatever it is that needs to be done. Putting him in a time-out chair doesn’t work, either, since that’s time he’s not putting on his jacket. “Every second he’s not complying, he’s winning”. Instead, tell your kid that if he doesn’t get dressed in five seconds, you’re going to put your hands on his and do it together. If your tiny rebel makes no move after the five seconds are up, which he won’t at first, take his hands in yours and gently force the coat on. If your child begins to slap or bite you, continue putting the coat on and then put him in time-out (or take away a privilege, if that’s your standard discipline tactic). That way, your child sees he still has to wear the coat (so his protests were ineffective) and now has an additional consequence for his unacceptable behaviour. 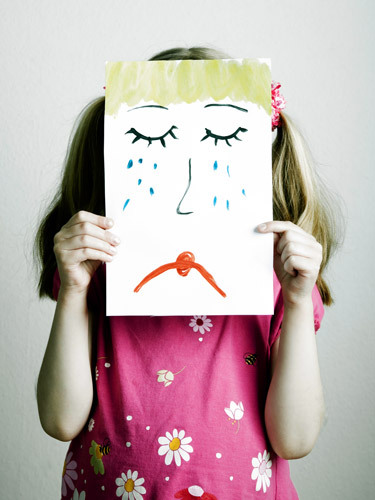 Just as kids can quickly slip into anger and sadness, so can they slip out of them. The average tantrum lasts about three minutes, according to the research. That’s why, shortly after a tantrum, your kid is back to playing as if nothing happened, while you’re still quaking from the event a half hour later. “Toddlers can transition from sad to happy and from angry to calm incredibly easily”. So enjoy that post-freak-out cuddle, and gird yourself for the next round. 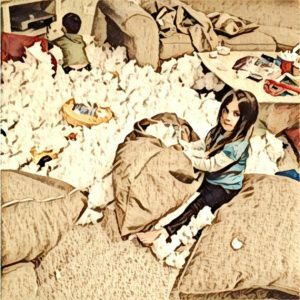 What if my child becomes destructive or dangerous? Select a timeout spot. Seat your child in a boring place, such as in a chair in the living room or on the floor in the hallway. Wait for your child to calm down. Consider giving one minute of time-out for every year of your child’s age. Stick with it. If your child begins to wander around before the timeout is over, return him or her to the designated timeout spot. Don’t respond to anything your child says while he or she is in timeout. Know when to end the timeout. When your child has calmed down, discuss the reason for the timeout and why the behaviour was inappropriate. Then return to your usual activities. Don’t use timeouts too much, or they won’t work. What about tantrums in public? If your child has a tantrum in public, ignore the behaviour if possible. If your child becomes too disruptive, take him or her to a private spot for a timeout. 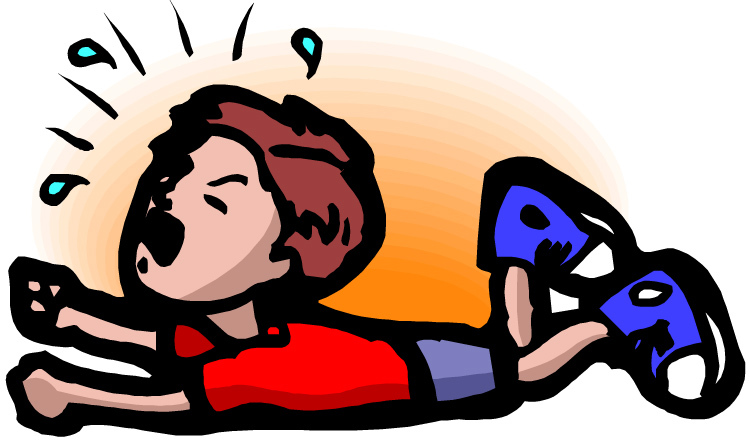 After the timeout return to the activity — or your child will learn that a tantrum is an effective way to escape a given situation.